Grosvenor Fish Bar can be found on the corner of Lower Gate Lane and Pottergate in the centre of Norwich Lanes. I wanted to feature it on my blog as it's my favourite fish and chip shop and somewhere I regularly stop off at for some lunch in Norwich when I'm not inspecting breakfasts. 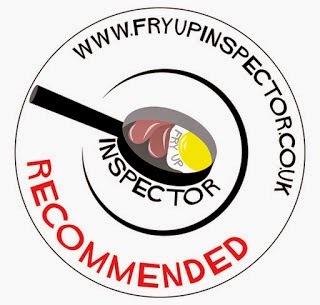 I first featured Grosvenor Fish Bar back in 2014 and added it to my recommended section. Since then though I've tried many more of their specials so decided to write an updated blog post. 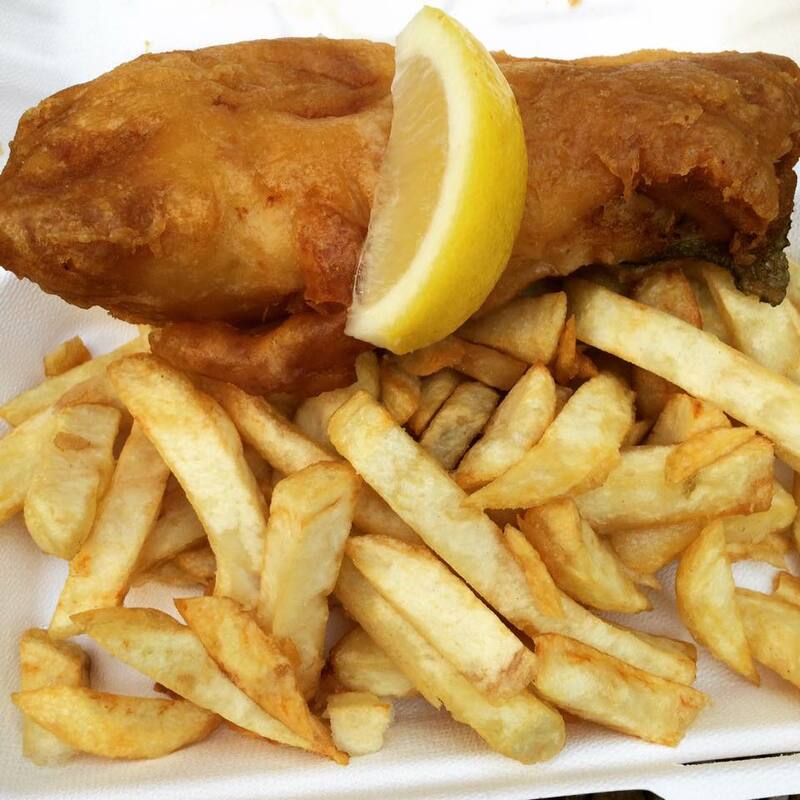 Traditional cod and chips is a favourite of mine, really delicious here and served with a wedge of lemon. Another popular option is cod goujon and chips, I always enjoy this with a side of curry sauce. If you fancy a change from cod then why not try Red Herring. 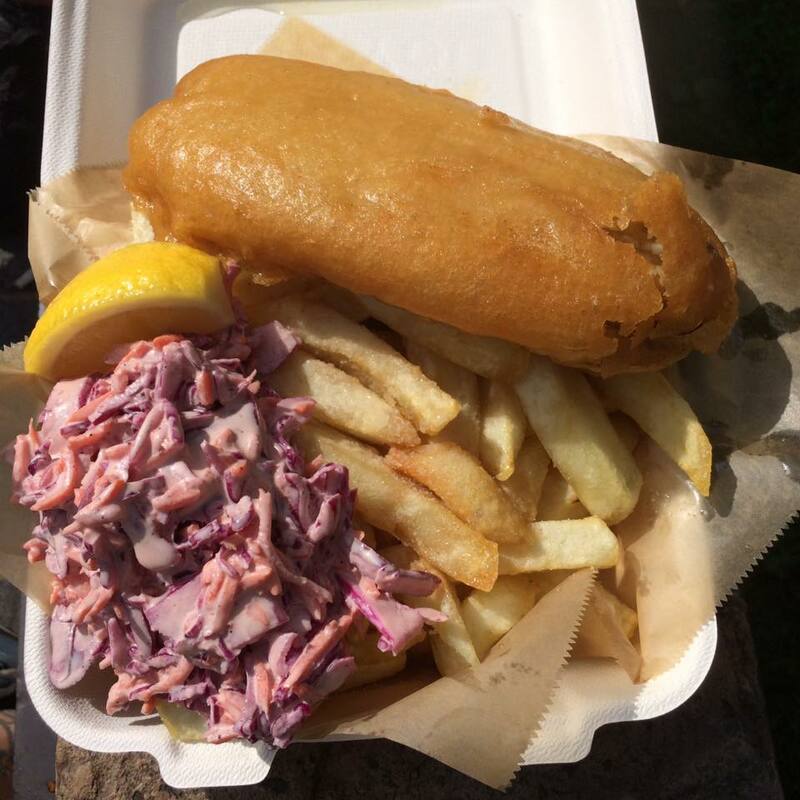 Battered smoked herring fillet served with chips and red cabbage coleslaw. Big Mack is a popular special, crispy battered mackerel fillet with lettuce and tartare sauce served in a roll. Just £3.80 buys you a battered sausage or fish cake served with chips, a bread roll and either curry sauce, peas, gravy or beans. The B.B.L.T is one you have to try, I love it! Treacle and beer cured battered bacon served in a roll with lettuce, tomato and mayonnaise. In December you can even buy Christmas dinner here. 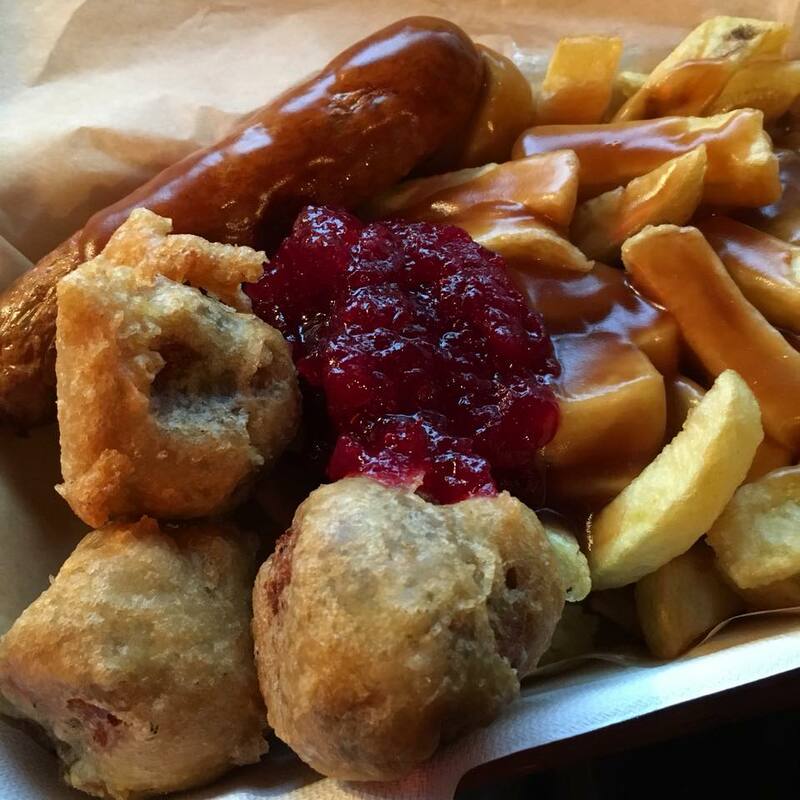 Turkey sausage, battered stuffing balls, chips and cranberry sauce. 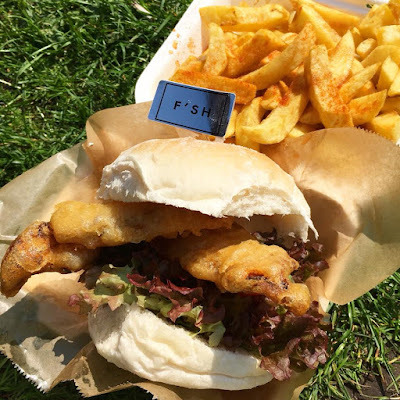 Grosvenor Fish Bar is about so much more than just the great food they serve though. 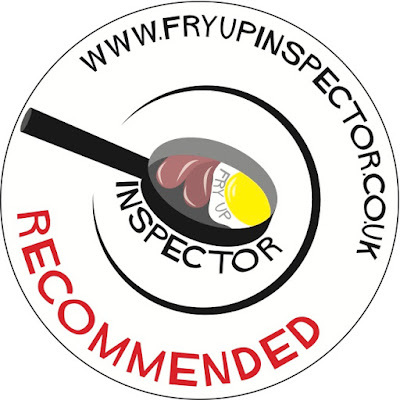 The staff are efficient, friendly and welcoming and the place has so much character. Duane even takes your order whilst your in the queue during busy periods ensuring customers have less time to wait at the counter. The stylish interior makes it really stand out from the crowd with traditional lighting, beautifully illuminated window displays, stripy paper straws and a "gone fishing" sign displayed when it's closed. 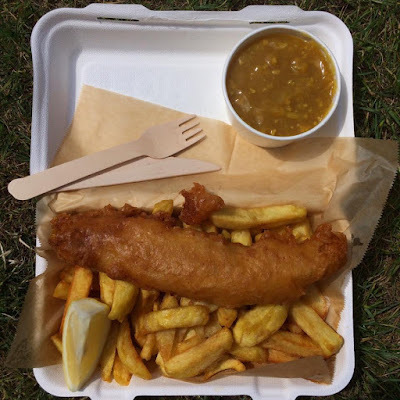 During the warmer weather I love eating my food outside on the grass banks opposite, but you also have the option to take your food over to the Birdcage Pub opposite and eat it there if you're buying a drink. There's also a seating area inside Grosvenor Fish Bar found next door, if you head downstairs though a hidden gem is revealed. This giant illuminated G welcomes you to the bunker. There are plenty of tables down in the bunker for you to sit at and enjoy your food. Salt, vinegar and Tabasco sauce can be found on each table. There's also American chip spice, I love this stuff! They close at around 7.30ish in the evening so be sure to get there in time to experience great food and a warm welcome. Christian, Duane and his team have certainly created somewhere far more special than your average chippy which offers a menu that is unique and exciting. High Sea now available! Read about it here. I don't know whether it's maybe the lighting, or a result of taking pictures with a phone, but don't those chips look a little on the pale side? I always thought chips should be cooked to at least a golden brown. If you ever make it across to this side of the pond again (Canada, not the USA!) then don't forget to give poutine a try. It's a bit of an acquired taste - chips, brown gravy and cheese curds - but the Canadians love it! 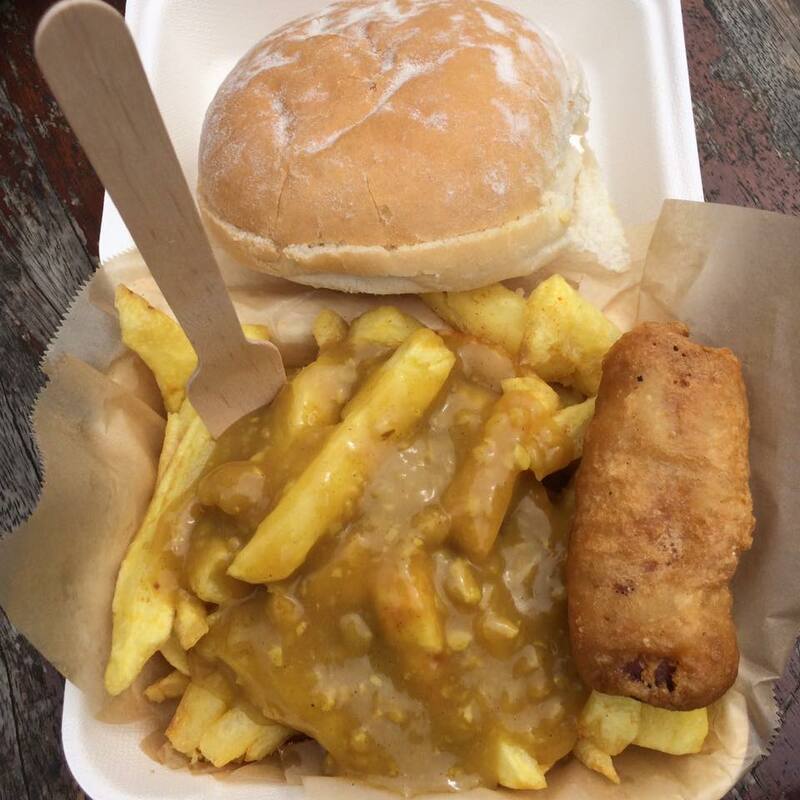 This is how chips look in the UK. There is a place in Norwich serving poutine, I’ll have to try it sometime.